December has seen the garden emerge from the debris of autumn to the bare beauty of winter. December has seen the garden emerge from the debris of autumn to the bare beauty of winter. The hard work of clearing fallen leaves and old summer crops is complete and the skeleton of the garden is now tidy and clear. We have enjoyed some beautiful frosty days this month, which show off the box hedges and bare soil. Currently the days are dark and overcast, but the winter solstice is but days away signalling the start of a new gardening year ahead. 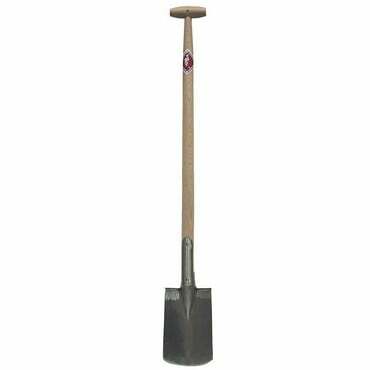 The recent hoar frosts have rendered the soil out of bounds; working on frozen ground is not a good idea for the soil or the gardener! This has given us the perfect excuse for the job that we never seem to get around to – tidying the potting shed. This, in turn, gave us the perfect opportunity for a stock take, allowing us to place our order for feeds and pest control well before the growing season begins. Now that the potting shed is clean and tidy, there is room to sit and clean our tools. We are very fastidious at cleaning the dirt from them every time they are used, before putting them way. This keeps them in good condition, but we also like to give them a good dose of loving care to keep them in tip top condition. They have been sharpened, and then wiped over with linseed oil; a really satisfying job with the radio on listening to Christmas songs. A little time spent caring for your tools will make sure they last a lifetime. 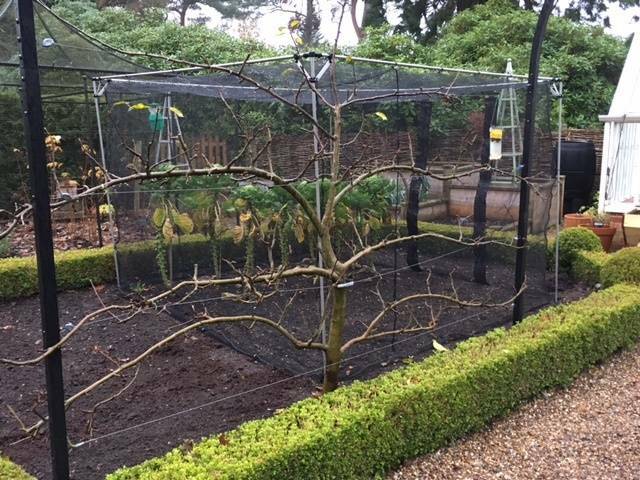 Outside, the espalier apple trees and trained pear trees have at last shed all their leaves in Stephanie’s Kitchen Garden, which means that it’s now the perfect time to give them a bit of attention. This month they have been treated to a winter wash to clean away any pests or diseases that may have nestled into the nooks and crannies of the branches for winter. The wash will be repeated around February before the new buds begin to unfurl. The down side to this job is that the wash doesn’t smell particularly pleasant, so I always make sure that it is my last job of the day so I can head straight for the shower when it is done! After the wash, we applied glue to the trunks of the fruit trees. 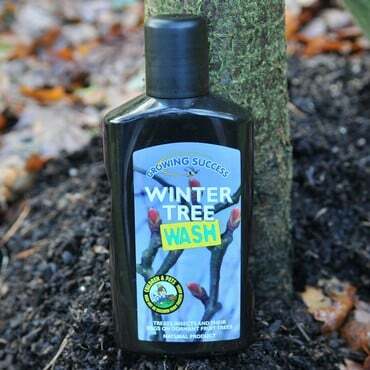 This will prevent any bugs hiding in the soil around the base of the tree from climbing up and into the branches ready to attack next season. Again, this is a process that will be repeated in the Spring. It’s also a good idea to put the glue around the tree supports as well to stop the pests from using them as a climbing frame. Our blackberry plants have had their annual prune this month. They scramble over a pergola and drip in lovely juicy fruits in late summer. This month we pruned out all of the stems that fruited this year and tied in the new stems. Throughout the winter the soil round the base of the plants will be top dressed with wood ash from the fire as well as a good mulch of well rotted manure. Now they wait, a tidy skeleton, ready to burst into life next spring. The garden is tidy, the potting shed has been spring cleaned and the greenhouse is gleaming. Overwintering crops are snugly nestled in a heated tent of bubble wrap. We are ready for the festive break; the only time of year that I leave the garden and disappear into the house. The only gardening job still to be done is to dig up the parsnips and pick the brussels sprouts that will adorn my plate on Christmas Day. I’ve already had a sneaky peak at the parsnips and they are looking good as always; a reliable crop in Stephanie’s Kitchen Garden. Now is the time for showing off the fruits of our labours with a Christmas dinner laden with home grown organic vegetables. I have promised myself a week away from the garden, out of the cold and the fog. Curled up on the sofa in front of a roaring fire, I can finally take the time to browse the seed catalogues and prepare my garden plan and seed order for next year. 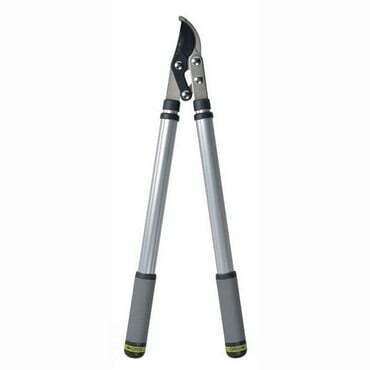 I’m not sure I’ll make it through the whole of the festive period without venturing out into the fresh air and reaching for garden fork though…..
Come January 1st , the garden is ready for the growing season to begin once again; and so is the gardener! We're always here to offer help and support. Go to the Ask the Expert section on our website and email Horticultural Advisor Jo Blackwell with your queries and she'll do her best to try and help. We're busy tweeting about all things Harrod Hortiultural what we've been doing, special offers, gardening tips and advice and you can always use Twitter or Facebook to get in touch with us as well. With our webteam manning the Tweet desks and Facebook site, you can be sure you will get the best service we can offer. Our 108 page catalogue is out nw and is pace full of gardening ideas and products to solve the problems every gardener faces, plus plenty more seasonal ideas for harvesting, storage and preserving. Wishing you all a Merry Christmas and a productive New Year!